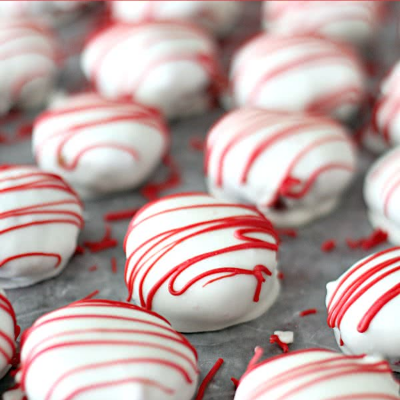 Valentine’s Day is the perfect occasion to indulge your sweetheart — and your sweet tooth — with decadent desserts. We’ve rounded up a few tantalizing recipes that are easy to make but hard to pass up. From cheesecake bites to cookies, you’ll find the perfect sweet treat for special someones of all ages! An easy recipe that’s out-of-this-world delicious, what’s not to love? 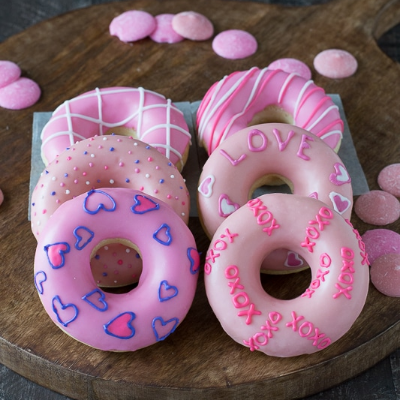 Pink frosted doughnuts are a fun Valentine’s Day dessert for your loved ones. 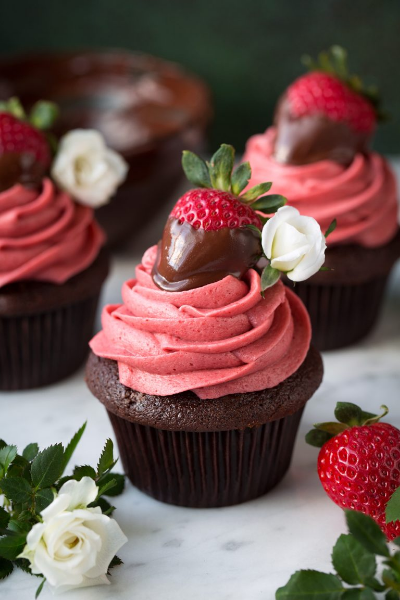 The romantic standby chocolate-covered strawberries gets an even sweeter twist in these cupcakes. 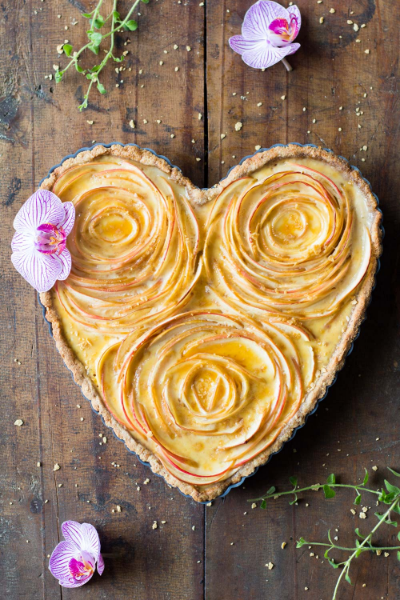 A gorgeous tart that’s a feast for the senses. 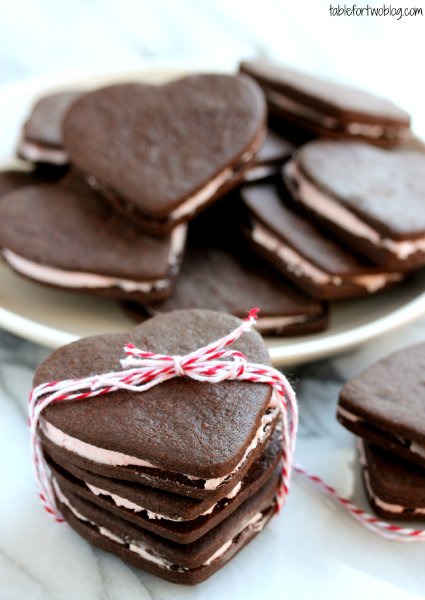 Give your special someone your heart — with buttercream filling!